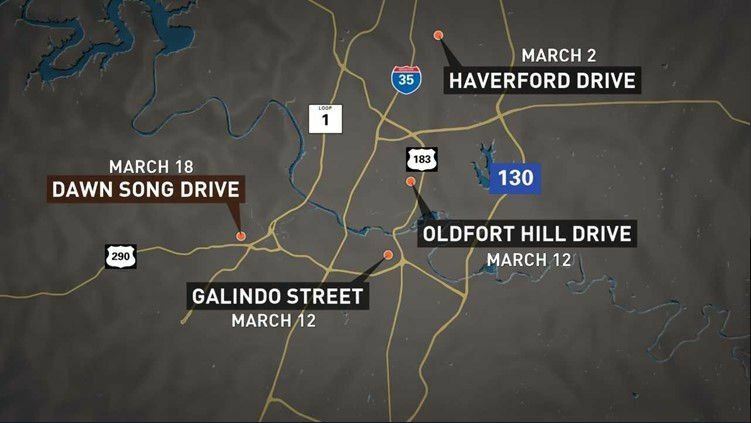 Austin police have said they are still looking for a suspect or suspects after a fourth package bomb detonated in the city showed a “different level of skill” than the previous three attacks this month. Police Chief Brian Manley is urging residents in a southwest neighbourhood of the city to stay inside and to be cautious of suspicious packages after the most recent blast, which injured two bicyclists Sunday night when they triggered a trip wire. Police have indicated they believe the four attacks are likely connected.